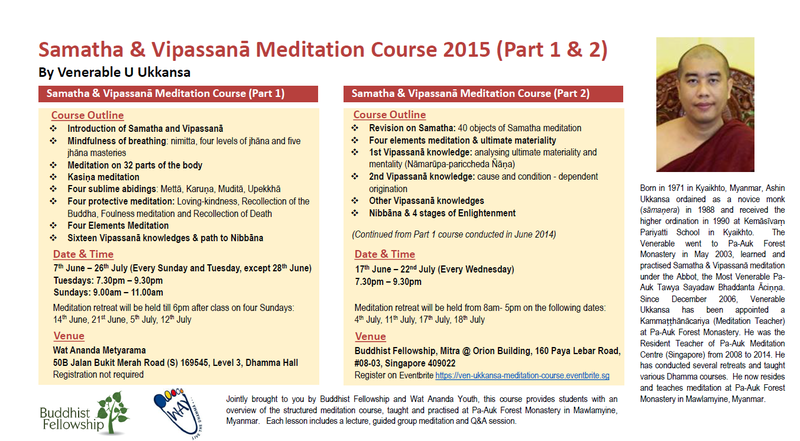 Ajahn Dhammasiha will be in Singapore from 25 to 28 June 2015 and will be giving talks during his stay here. Above activities are held in Wat Ananda. Talks will be held in the new building, level 3. Pls see attached poster for his entire programme. Ajahn Dhammasiha was ordained as a Theravāda Buddhist monk in Sri Lanka in June 1995, with most Ven. Pandita K. Sri Jinavamsa as preceptor. In 1998 he went to Australia and started training in the tradition of Ajahn Chah, first at Bodhinyana Monastery in Perth, and later at Vimokkharam, a quiet Forest Hermitage in Melbourne’s Dandenong Ranges. During this period, he was fortunate to receive teachings from some of the foremost living teachers of the Thai Forest Tradition, like Tan Ajahn Tui and Tan Ajahn Plien, on their visits to Australia. Ajahn Dhammasiha arrived in Brisbane in 2007 on invitation by Brisbane Buddhist Vihara, to help in establishing a forest monastery in South East Queensland. He is now the abbot of Dhammagiri Forest Hermitage, the first forest monastery in Brisbane. This entry was posted in Forest Way and tagged Ajahn Dhammasiha, Dhamma talk, SMS, Sunday Service on May 17, 2015 by wayadmin. Vesak Day is the day where we celebrate the birth, Enlightenment and passing into Parinibbana of Lord Buddha. 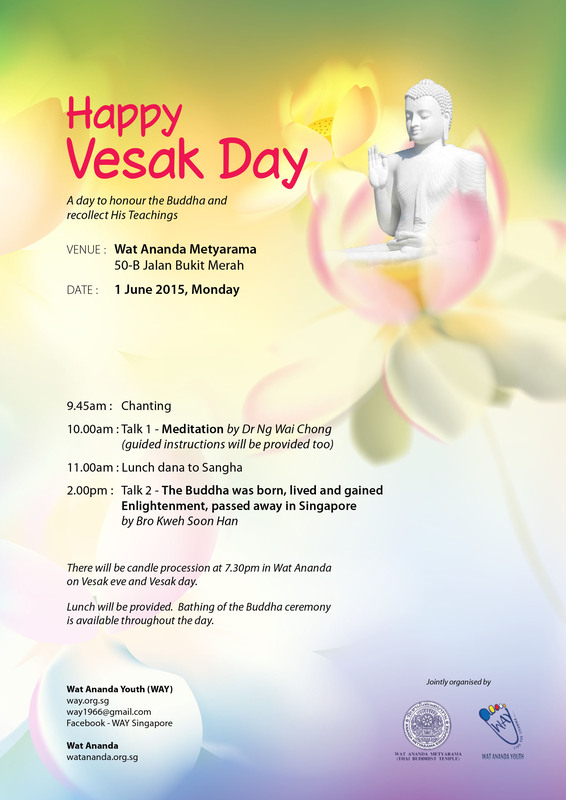 2.00pm to 3.00pm – The Buddha was born, lived and gained Enlightenment, passed away in Singapore by Bro Kweh Soon Han. 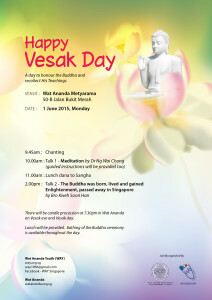 There will be candle procession on Vesak eve and Vesak day in Wat Ananda at 7.30pm. This entry was posted in Sunday Morning Service (SMS) and tagged Meditation, Vesak day on May 11, 2015 by wayadmin. 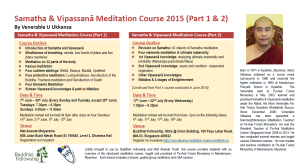 Venerable Ukkansa will be conducting a meditation course in June-July 2015. Registration is not required. ALL are welcome. Venue : Wat Ananda, new building, level 3. This entry was posted in Forest Way and tagged Meditation, Samatha, Venerable U Ukkansa, Vipassana on May 10, 2015 by wayadmin.